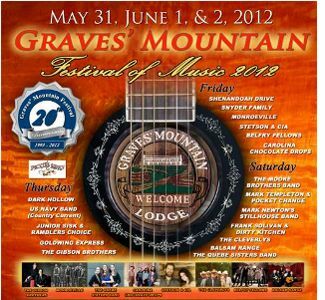 Syria, VA -- The Graves Family and Festival Organizers are proud to announce the 20th Year of the Graves Mountain Festival of Music to be held at the Graves Lodge in Syria, Virginia May 31st, June 1st, and 2nd this year. 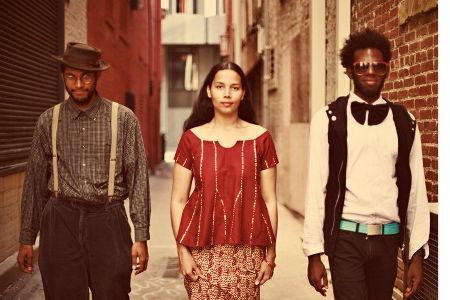 The talent line up for the festival includes some of the biggest names in bluegrass and Americana music to include the Carolina Chocolate Drops, The Cleverlys, The Gibson Brothers, The Quebe Sisters, Balsam Range, Junior Sisk and Ramblers Choice, Belfry Fellows (formerly known as Rockin' Acoustic Circus), and Frank Solivan and Dirty Kitchen to name a few. Tickets are on sale now for the event. Ferrum, VA -- Since the release last year of The Heart Of A Song, the second CD on Rebel Records from Junior Sisk And Ramblers Choice, the band has celebrated much success as the project continues to maintain significant support from radio programmers and fans alike. The first single from the CD, "A Far Cry From Lester And Earl" is topping bluegrass charts nationally and has reached #1 for Bluegrass Unlimited's Top 30 National Songs chart for April 2012. Ferrum, VA -- Junior Sisk & Ramblers Choice are enjoying great success with their latest Rebel Records CD, The Heart Of A Song. The first single from the record, "A Far Cry From Lester And Earl" has reached #1 on Bluegrass Music Profile's (BMP) Top 30 Hot Singles for three consecutive months (December 2011, January and February 2012) and is #1 on BU's National Survey Top 30 Songs for March 2012. The single also reached #1 on Bluegrass Today's Monthly Singles Chart for December 2011. The Heart Of A Song was listed by music critic Keith Lawrence as his #1 pick for the Ten Best Albums of 2011 (view complete list here) and is #1 on BMP's National Top 10 CDs for February and holding firmly at #3 for the second month on BU's Top 15 Bluegrass Albums. 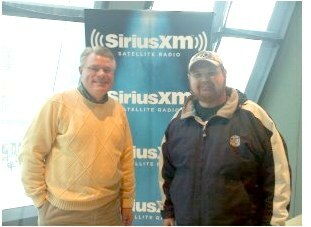 Sirius XM Bluegrass Junction's Kyle Cantrell will feature music from Junior Sisk & Ramblers Choice on the popular show Track By Track this week beginning on Wednesday, February 1st at 11:00am EST. During the program, Kyle will host an in-depth interview with Junior Sisk and play each track from the band's latest Rebel Records CD, The Heart Of A Song. The most recent release from Junior Sisk & Ramblers Choice on Rebel Records is garnering some serious attention from DJs and fans all over the country! The Heart Of A Song reached #3 on BMP's Top 10 Bluegrass CDs for December and is #5 on BU's Top 10 National Survey for January. Music critic Keith Lawrence placed it at #1 on his Ten Best Albums of 2011 list. 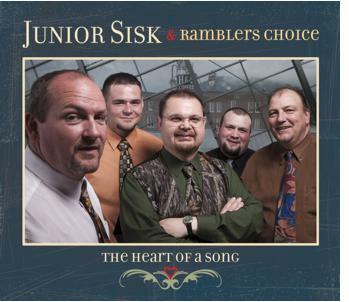 Congratulations to Junior Sisk & Ramblers Choice whose new CD, The Heart Of A Song is garnering a great amount of attention. This month the CD is #3 on BMP's Top 15 CDs and #8 on Bluegrass Unlimited's Top 15 CDs. In addition, their latest single, "A Far Cry From Lester And Earl" is currently #1 on BMP's Top 30 Hot Singles chart, and #12 on Bluegrass Unlimited's Top 30 Singles chart. The band is also now being represented by East Public Relations for publicity. 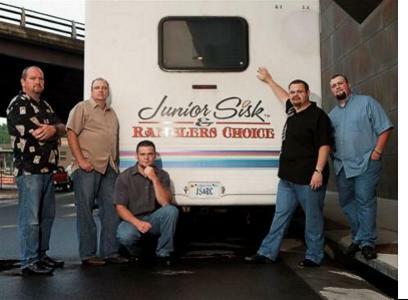 On October 15, 2011 Junior Sisk and Ramblers participated in a benefit concert to help raise funds for the Henry County Virginia Elementary School. The concert was aimed at helping raise funds to support the Parent Teacher Organization (PTO). The money raised from the concert will go toward helping with programs in the schools, specifically assisting with buildings and grounds improvements. Junior Sisk and Ramblers Choice are gearing up for a fun week in Nashville, TN at the IBMA's World of Bluegrass Event. The group will be participating in a number of Showcases at the conference, playing songs off the new album The Heart of a Song, officially released on Rebel Records. Junior Sisk and Ramblers Choice welcome Chris Davis to the group. Chris was born in Xenia, Ohio on October 9, 1979 to Danny Lee and Susie Davis. He was born into a family of musicians. His Grandfather Elzie Davis played the fiddle, his Father Danny Lee Davis plays the banjo and sings and traveled with Ralph Stanley playing bass and singing harmony. His brother Wes Davis played the guitar and sang as well. 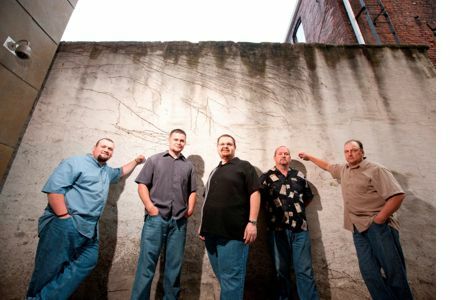 The Davis's created the "Davis Brothers Band" and began playing bluegrass music as a family.